Our Ashrama and its students observed different cultural activities with great endeavor. Observation of Republic day, Independence Day and Netaji Subhas Birthday:– All our institute's students observed the days with gesture is a regular feature. They followed the activities with procession, discussion, oration and different cultural performance by the guidance of lecturers and teachers. 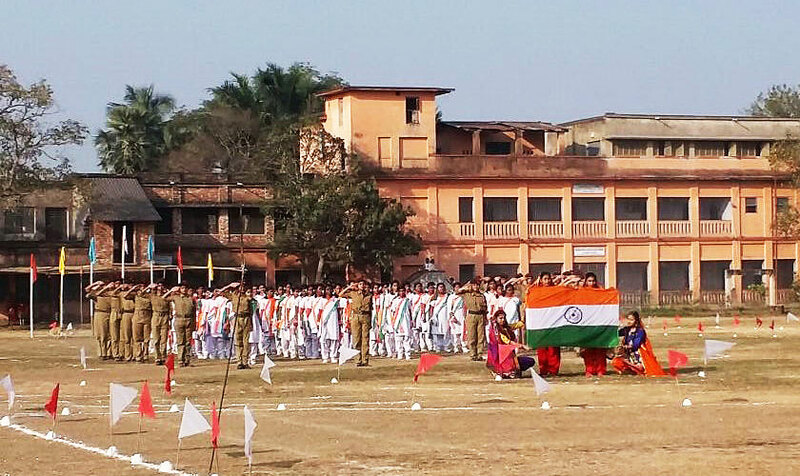 National Youth Day celebration is performed by our senior students i.e. college students and class IX to XII students. The day long discussion, oration, drama, dance and the lecture of external resource persons are organised with sincere efforts. Cultural Functions also organized by all institutions on the birthday of Rabindranath Tagore, Pre-Puja Celebration and Saraswati Puja celebration with varieties of programmes. Songs, Recitation, Geeti Nattya and Drama are the main items they performed and composed. Annual Cultural Function is a big show of the Institutions. All educational Institutions are performed with variety of programme for four days long. Dance, Drama, Group Songs, Recitation and Orations are the main items. Special attraction is Yatrapala. Ashrama promotes folk culture and folk dances also.